Until now, the U.S. role in the ongoing war in Yemen has remained small, but sources have said that the Trump administration is considering giving direct support to seize the country’s main port for humanitarian aid. First reported by the Wall Street Journal, the move would expand U.S. involvement in the brutal civil war that has been raging since 2014. The United Arab Emirates has asked the U.S. to assist the Saudi-led coalition to retake Hodeidah. Experts have called the ongoing war the world’s “largest humanitarian crisis,” with millions facing starvation, lack of access to clean water and a cholera outbreak that likely involves more than 1 million people. “We are not 100 percent comfortable that, even if the coalition did launch an attack, that they would be able to do it cleanly and avoid a catastrophic incident,” the official said. Administration officials are expected to meet today to discuss next steps, according to the Journal. 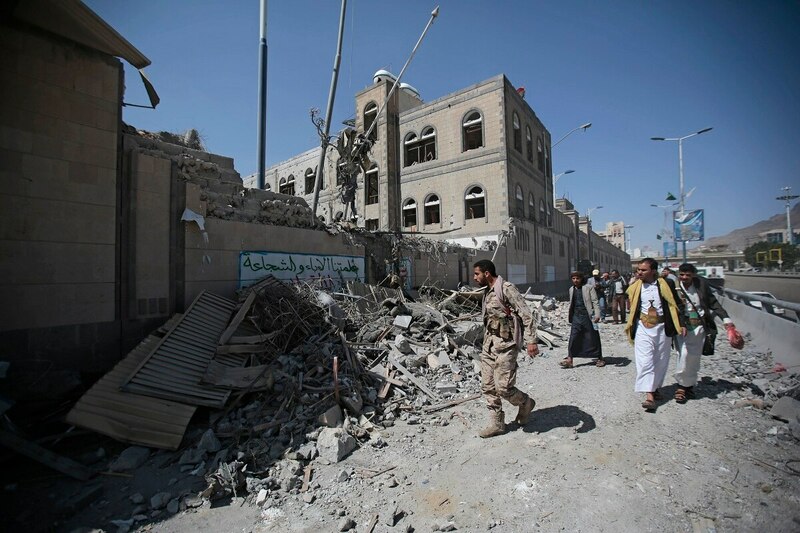 The Iranian-backed Houthi rebel group, predominantly from the northwest region of the country and followers of a Shia Islam offshoot, have fought with their predominantly Sunni Islam countrymen. They grill DoD official on involvement in the world's largest humanitarian crisis. In 2015, the Saudi-led military coalition entered the fight and has received several types of aid from the U.S. government, including logistics, arms and intelligence support. But that has not gone without pushback from members of Congress. Last year, representatives passed a nonbinding resolution that dubbed military involvement in the civil war unauthorized. But the Senate blocked a resolution that would have ended military support for the campaign. Military Times reported a Senate hearing in April in which senators grilled Defense Department and other officials about whether ongoing U.S. involvement was making matters worse in the war-torn country. In previous comments, Defense Secretary Jim Mattis has said he would like to see a United Nations-brokered peace settlement between the factions involved, but pulling military support would endanger America’s allies and likely result in more civilian casualties. In the April Senate hearing, Robert Karem, assistant secretary of international security affairs for the Defense Department, explained there are about 50 U.S. military personnel assisting the Saudi military with pilot advising, refueling and intelligence. He did not disclose the number of personnel participating in a different mission — counterterrorism operations against al-Qaida in the Arabian Peninsula and Islamic State in Yemen. Chief Petty Officer Ryan Owens, a Navy SEAL, died from wounds sustained in a raid in Yemen against al-Qaida targets on Jan. 29, 2017. Army Staff Sgt. Emil Rivera-Lopez died in an Aug. 25, 2017, helicopter crash off the coast of Yemen.